Discover the best of Zambia's wilderness with stays in three of the country's best national parks, from the thrilling Mosi-oa-Tunya (Victoria Falls), to the South Luangwa, also known as the home of the walking safari, and spectacular Lower Zambezi. You are greeted at Livingstone Airport and transferred to your lodge where you'll be based for the next two days. On your Zambia safari, spend the day exploring the Mosi-oa-Tunya National Park in a custom-built 4x4 safari vehicle and discover the park's diverse wildlife, including elephant, impala, giraffe, buffalo, crocodile and zebra. 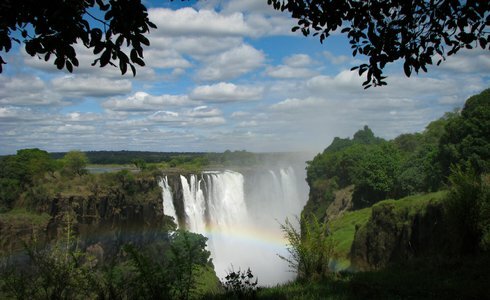 Embark on an unforgettable Victoria Falls tour, or for a more cultural experience go on a Nakatindi Village tour. Choose from a number of thrilling activities on your Victoria Falls tour and find out why Victoria Falls is known as the ‘adrenaline capital of Africa'. Spend the day at leisure and enjoy a range of spa treatments, or escape from the heat of the African sun with a refreshing dip in the lodge's swimming pool. Late afternoon brings with it an exciting Zambezi sundowner cruise on a specially designed boat. The guide will take you through a series of exciting grade two rapids, before finding a spot to beach. Enjoy refreshing cocktails, while watching the African sun set over the mighty Zambezi River and drift back to the lodge in time for a delicious dinner. Fly on to your next camp, situated on an escarpment in a remote part of the South Luangwa National Park. 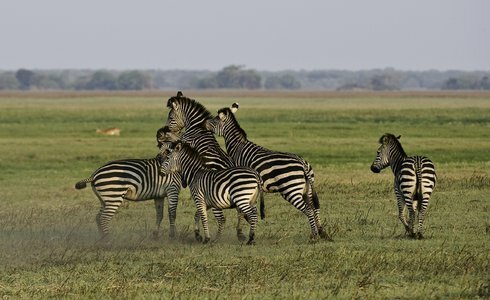 On this portion of your Zambia safari, embark on a guided walking safari and experience the sights and sounds of the African bush. 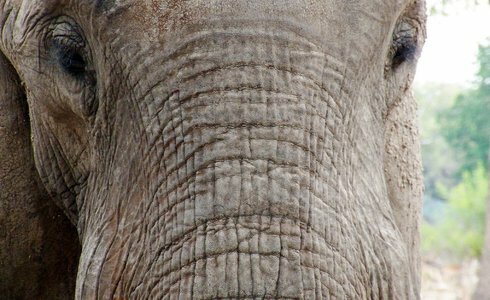 Come face-to-face with South Luangwa National Park's wildlife in specially designed 4x4 safari vehicles. On the game drive you may spot lion, leopard, elephant, buffalo, impala, antelope and puku. 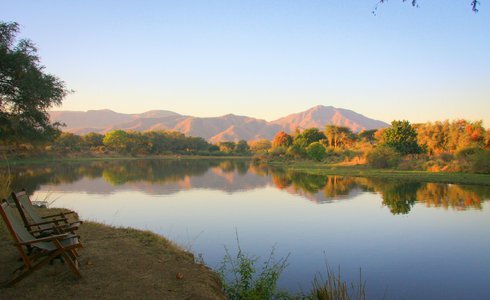 Fly on today to your next camp, located in the gloriously remote Lower Zambezi National Park. Your days will be spent tracking lion, elephant, wild dog, hippo, waterbuck, buffalo, leopard and honey badgers in open 4x4 safari vehicles on morning and evening game drives. Enjoy an informative walking safari and walk along the animal paths surrounding the Lower Zambezi, accompanied by a professional guide and an armed national park scout. For those seeking a more adventurous Zambia safari, take an exciting fishing trip and experience the thrill and fight of catching a feisty tiger fish, experience intimate encounters with hippos and waterbuck by canoeing on the Lower Zambezi River, or simply enjoy refreshing sundowners on one of the many channels of the Zambezi River while watching the mesmerizing sunset from the comfort of a specially designed flat-bottomed motorboat. Your Zambia safari comes to an end as you depart on a shared light aircraft flight to Lusaka Airport for your onward journey home. Our itineraries all follow the best possible routing, yet the quoted price can vary greatly based on the level of accommodation chosen. What kind of a traveller are you?